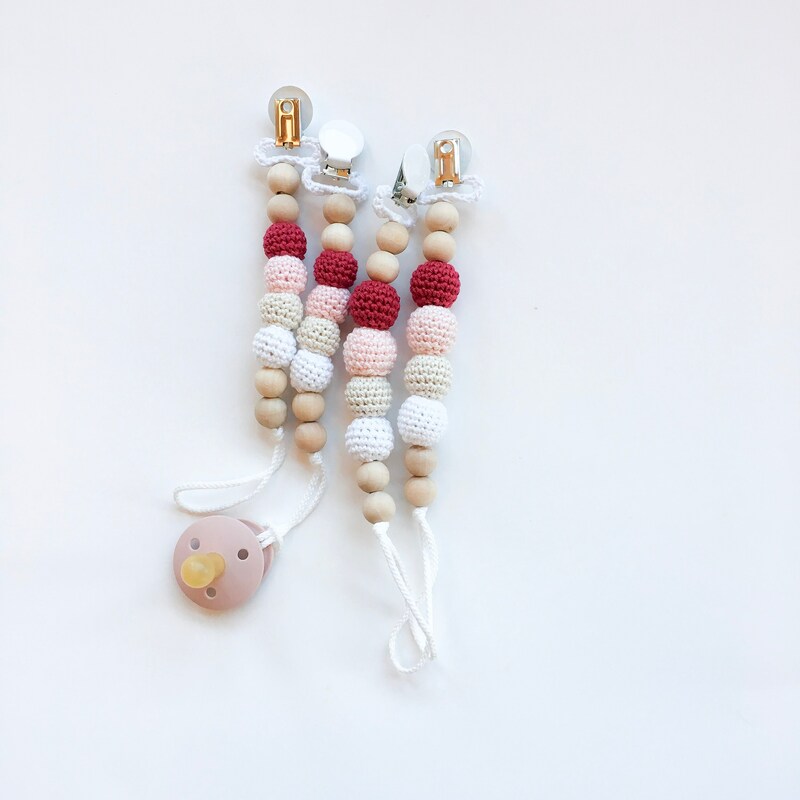 Uses: Keep your baby'a pacifier and teether close and off the floor at all time with this crocheted over beads pacifier clip. Attach: to clothes, blankets, toys, strollers, or car seats, to hold pacifiers, teething rings, or toys! Check us out on INSTAGRAM @nomilumade to see how the clips look while in use! All metal clips are crocheted over for a softer look and to keep the cord in place from slipping around, if you prefer your clip not to be crocheted over, please specify that it the notes during checkout! PLEASE NOTE: YOUR SATISFACTION IS OUR PRIORITY. Although we have recommended ages for the size of pacifier clips above, your own preference on size should be a strong contributing factor in your decision on the size to purchase. We have mothers who have used the 20mm for their newborns and they love it, while other mothers use the 16mm even for their 9-12 month babes.